Korean is a very old language. It is an East Asian dialect that has spoken for thousands of years. The Korean people have a rich language that reflects their vast history and amazing culture. At least 80 million people speak this language today. Korean is not a natural language that is spoken by many people in the west. As a matter of fact this language is only spoken by a relatively small amount of people in western society. This is also true for other countries around the world. However, the Korean language has come into the spotlight due to the the XXIII Winter Olympic Games that was played in 2018 in PyeongChang, South Korea. Billions of people from around the world tuned in to watch this spectacular international event. While a lot of the events were broadcast in English; the Korean language was also heavily communicated. There is also a Korean Wave in terms of music, movies and entertainment. This wave is introducing Korean culture to the world. If you want to know how to learn Korean in 6 months or less, keep reading the following material. You will discover some of the best ways to master this dialect. The best way to learn the Korean language (or any other language for that fact) is to immerse yourself into it. Now, unless you are living in the nation or a region where Korean is the primary language for communicating, this will be hard to do. The Korean language is not commonly spoken in many English speaking countries. So, a person who resides in an English speaking area will typically have to get Korean videos, Korean music and other forms of Korean media to help pick up on the language. They can go online and search through videos in the Korean language. They can also get Korean books from local libraries if they have this type of material in print. Koreans might not be the dominant community in many English speaking countries but they are around in many big cities. You might have to search them out to figure out what parts of town they reside and what places they frequent. Once you figure this out, you can then approach a Korean person that is close to your age range and position in life and see if they can help you to grasp their language. Some will probably not help you but others would be delighted to assist you with learning this language. The main thing to keep in mind is that you must immerse yourself into the Korean language if you really want to speak it within 6 months or less. This approach typically works for most people. Complete immersion into a language is the best way to learn how to speak it. However, some people just will not encounter many situations where the Korean language is spoken. Don’t forget that the Korean language is not widely spoken. Keep in mind that there is an estimated 80 million out of 7 billion people who speak this language. If we put this number into perspective that is an extremely small amount of people who actually speaks and understand this tongue. Unless a person is expecting to travel to Korea or wants to do business or interact with a Korean community within their home city; then the Korean language will have limited use. Also, Korean is not a popular international language in the East. Many people prefer to learn Chinese, Japanese and Indian dialects. So, you should understand that Korean has gained some popularity but it still is not a highly spoken language. However, do not let this reality dissuade you from learning this dialect. Remember you can know how to learn Korean in 6 months or less. This information was presented to make a point. Everyone will not learn Korean in the same way. While total immersion is the best way to learn a language it does not always work for all people. Some people who immigrate into the United States still have trouble speaking English after being here for many years. They do not have a learning disability and they are not mentally deficient. It is just that some people cannot pick up on the language by constant exposure to it. They have to learn English gradually. Believe it or not some people go through culture shock when they are thrown into a culture and forced to learn it through complete immersion. The same is true for the Korean language. Some people learn by gradually picking up the language. Other people learn with the help of friends or family members. It is always good to have a family member or friend to help you when it comes to learning a language. Some people are suited to learn Korean inside of the classroom. While other people will best learn Korean by listening to Korean news reports. Not all people will learn through the same methods. The thing that a person must do is to figure out which method works best for them and then employ this method with learning. 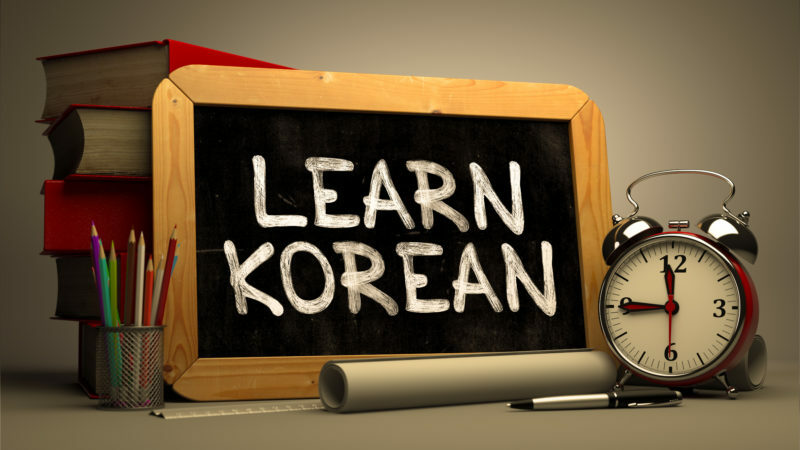 Can you realistically learn the Korean language in 6 months or less? The answer to this question is yes it can be mastered in 6 months or less. However, a person will have to be committed to this process if they want to be successful. Some people say that you can learn the Korean language like a baby or a child. This assumes that people can learn the language like a native Korean person or like a developing child. The truth is that most people who are adults will not learn a new language like kids or babies. This is because they have developed their own language skills pertaining to their dialect. This in turn will define how they see the world and how they communicate. These two factors make it very difficult for learning another language. Remember, a person’s culture defines how they see life. When they encounter another culture it is hard to get rid of the language skills and processes that was learned while developing. You can know how to speak Korean in 6 months or less but remember that you will run into the problem of interpreting another language through your own cultural references. Still, this handicap won’t stop you from learning if you are really wanting to know how to speak fluent Korean.